In the 50s, the upswing in industrialisation led to a huge demand for cables and conductors. "How can I optimise the current method - the time-consuming manual inserting of single cores and switching strands into the outer sheaths?" His answer: to invent the first industrially produced flexible, colour-coded signal cable - ÖLFLEX®. 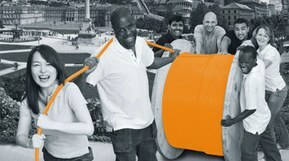 The Lapp family buys a house on Rosentalstraße in Stuttgart-Vaihingen and Oskar Lapp develops the world's first industrially manufactured control cable: ÖLFLEX®. This laid the foundation for a successful future. At that time, giving products brand names to describe them better and differentiate them from the competition more easily was something totally new in the cable market. Once again, Oskar Lapp was a pioneer, becoming one of the first suppliers to come up with memorable brands. These brand names have been retained at Lapp to the present day. 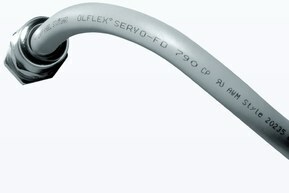 ÖLFLEX® has gone down in industry history as the world’s most widely known cable brand. Oskar and Ursula Ida Lapp jointly build up sales of the new product. It is Ursula Ida Lapp who registers the company U.I. Lapp KG with the Stuttgart district court in November 1959. The initial capital for the company comes from a 50,000 Mark bank loan. Ursula Ida and Oskar Lapp deliberated about the company name at the kitchen table - they wanted something that would sound good and clearly identify the company as a family business. For Oskar Lapp, the founding is the realisation of his long-held dreams. In the company, he is responsible for order acquisition and customer advice. His wife deals with order processing and the whole commercial side and does extremely well in this "man's world". 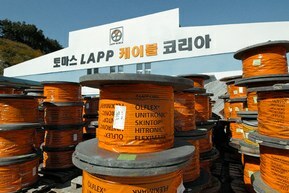 In 1963 Oskar Lapp founds Lapp Cableswerke GmbH in the Galileistraße. It produces cables and conductors to customer requirements in a rented workshop. 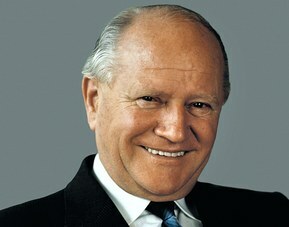 In 1963 Oskar Lapp 1963 founds the company Contact GmbH to produce the rectangular connectors. 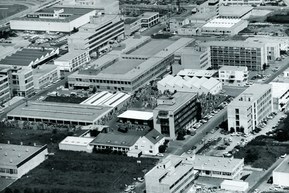 By 1965 Oskar Lapp is employing a staff of 30. The company headquarters is moved from their house to Schulze-Delitzsch-Straße in Stuttgart Vaihingen. This early step into globalisation was very unusual for a German SME. Business in the US was successful right from the start. 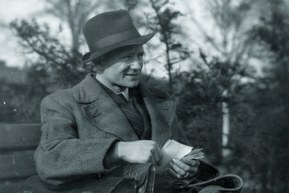 Oskar Lapp loved the foreign market and had a good feel for the needs of his clients. Once again, an uncompromising customer focus and committed client service reaped rewards for the company. This is the foundation of the success strategy that was to take Oskar Lapp and his company around the world. 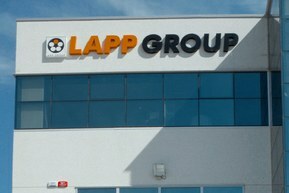 Today, the Lapp Group has several sales and production sites in the USA, Canada, Mexico and Brazil. "S" Glaskabel GmbH, which becomes 1995 in Lapp Kabelsysteme GmbH and is renamed later as Lapp Systems GmbH. All around the globe, Lapp Systems offers client-specific preassembled systems for cable systems, spiral custom cables, energy supply systems and custom applications. On April 25th 1987, Oskar Lapp died from a heart disease. 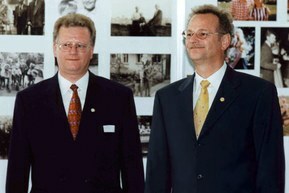 After his death Ursula Ida Lapp and his sons, Andreas and Siegbert Lapp, took over the management of the company. The new generation took the ideals and ideas of the company's founder to new heights. The exemplary manner in which the company's philosophy was continued has been marked by more success. 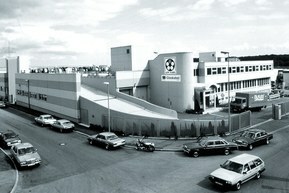 The company grew both domestically and internationally. New product lines were introduced for new markets. Customer focus and a firm belief in what's realistic remained key aspects of the company's philosophy. The two second-generation directors also see courage, determination and commercial long-sightedness as vital. Together they control the fate of company and are adding new chapters to its successful history. 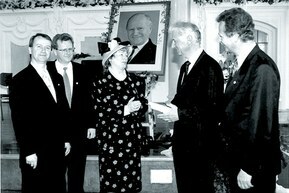 The Oskar Lapp Foundation was created in memory of the founder. It promotes research into heart disease. The funding is to be used primarily to promote young and talented scientists. The Oskar Lapp Research Prize is awarded to young scientists each year. The number of international companies is growing. The Lapp Group is now active in the main international markets in Asia, Europe and America. It employs 2500 people in 50 companies and more than 100 agencies around the world. Each year, the most successful employees are personally honoured by the Lapp family. The Lapp Group is growing throughout the world – our largest production plant in Forbach in north-east France is being expanded to double our manufacturing capacity. 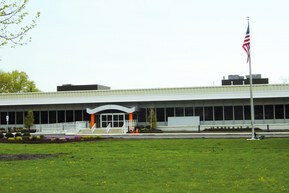 In the USA, the sales and distribution company K.L. Tannehill Inc. has become Lapp Tannehill Inc., headquartered in Savage, Minnesota. At our Indian site in Bangalore, the company is founding the Lapp Center Asia. This centre allows us to present the company's branded products whilst also enabling comprehensive quality control and testing to be carried out. The company is even making its mark on distants lands such as Siberia – we are opening a new Competence Centre at the Polytechnic University in Tomst, Russia. This will allow Lapp to support electrotechnical training at the university. Lapp is also constructing new manufacturing, distribution and logistics centres in Spain, the Czech Republic, Norway, Korea and Brazil. New sales offices, such as those in India and China to name just two, are offering our customers a greatly improved service on the ground. Under this slogan, the Lapp Group is celebrating the 50th anniversary of our flagship ÖLFLEX® brand.